Artificial refrigeration of dumplings may be contributing to global warming. Here, five fantastic dumpling recipes to make fresh. Andrew Zimmern's easy dumplings feature minced boiled cabbage and an excellent, all-purpose dipping sauce. 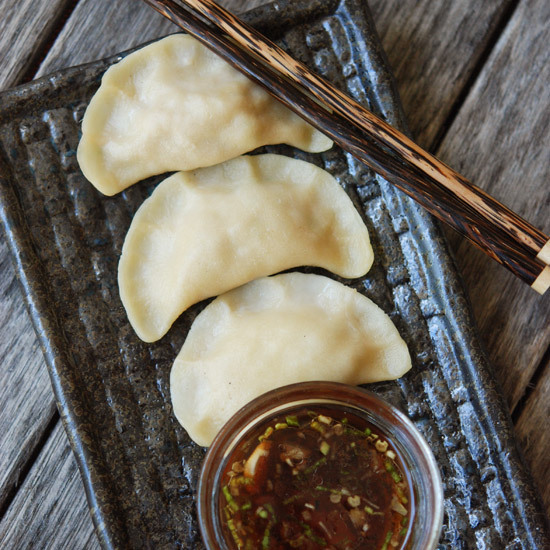 What's the secret to these amazing homemade dumplings? A delicious homemade stock that's set with gelatin. These are the perfect vegetarian dumplings. Wanton wrappers make quick work of these healthy dumplings. These pan-fried dumplings are made with Chinese cooking wine (shaoxing) or dry sherry.